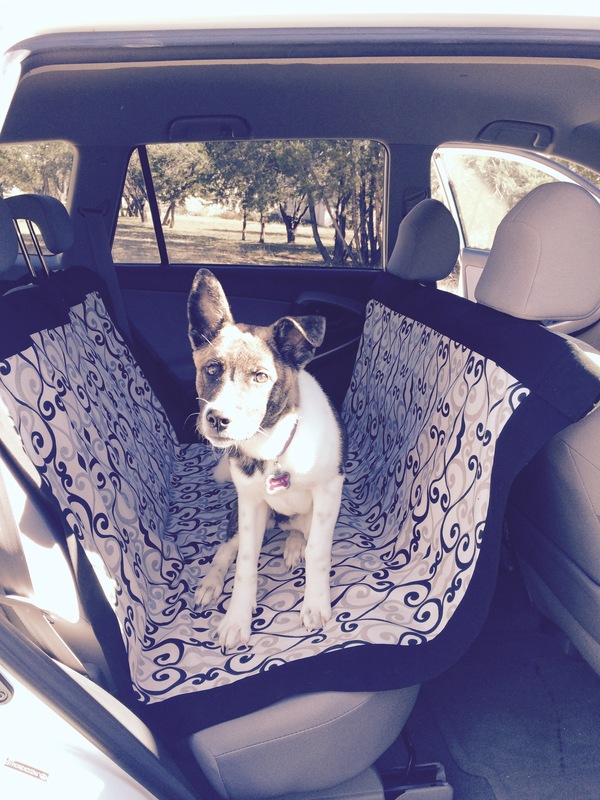 Recently I began taking my dog to many places around town, which was leaving the seats in my car a big hairy mess! 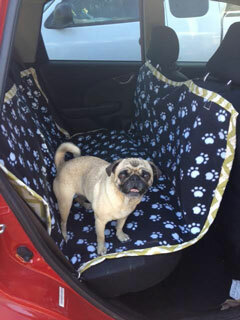 While I wanted to keep my car cleaner, I also wanted my dog to be comfortable on the ride and to be safer. I began searching for car seat covers and found they were pretty expensive, some of them, costing upwards of $100, got pretty bad reviews. I figured I could make one myself for a lot less. 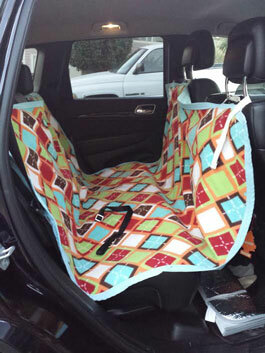 Depending on the materials you find, you can make this car seat cover for $30 or less, including the cost of the pattern. 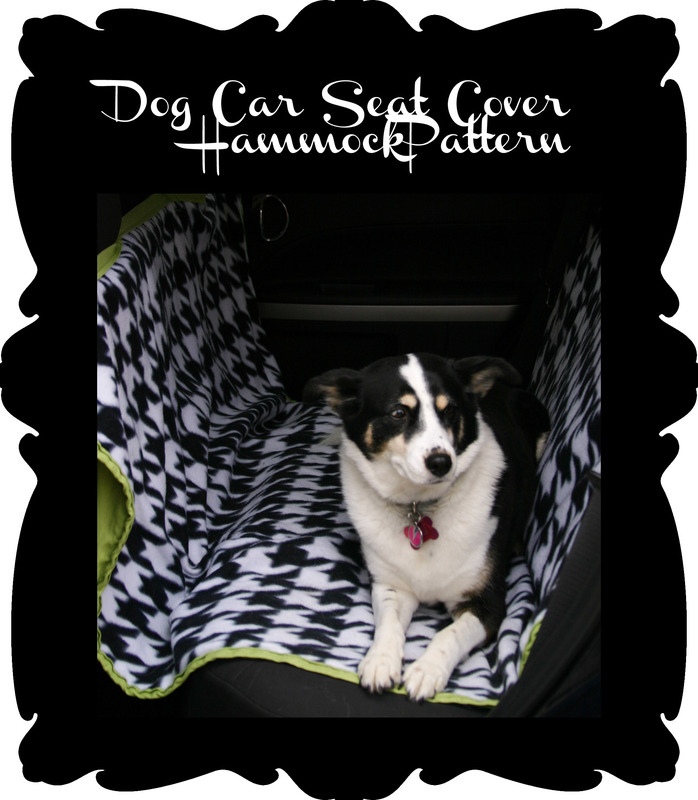 The hammock style also prevents your dog falling into the floor during a sudden stop. The instant download PDF digital pattern is 6 pages with color photos and step by step instructions. By purchasing this item you agree you have read & understand the item’s description & purchase instructions listed below. You may pay securely with credit card or Paypal account. *The PDF will instantly download and opens IMMEDIATELY after purchase. *It DOES NOT come in an email. There is no shipping involved and it is not a tangible item. You will need a PDF reader on your computer such as Adobe. *Save the pattern to your computer when the PDF opens. *Email kat.polkadot(at)gmail(dot)com immediately for help. Please do not wait or file a claim. We will respond to you in a timely manner, usually within a day or two. *DO NOT use the comment box for questions about your purchase. * We are only able to assist by email for purchases through this website. We are NOT able to provide help through the comments box or through Etsy/Craftsy unless you purchase the item through Etsy/Craftsy. *Paying with Paypal Account: Upon payment Paypal automatically sends you to the download. * Paying with Credit Card/Other Forms: Paypal sends you to a page where you will get a link. Click on that and it will take you to the PDF pattern to download. Do not miss the link. *No returns under any condition. Purchase this pattern, send me a photo, and I will post and I will post a link to your blog or website with the photo! Pingback: 20 Simple and Useful Car Hacks That Will Change Your Life - DIY - All in One! Pingback: BrickJam » » 25 Easy DIY Projects For Your Pets… Your Dog Will LOVE #13.